The Wisconsin Conservatory of Music is presenting its holiday showcase, “The Festival of Trees and Music,” which started yesterday and runs through November 22. The Conservatory has decorated its Prospect Ave. facility, once an East Side mansion, with a forest of holiday trees. Custom-decorated Christmas trees will be auctioned during the festival in support of the Conservatory’s community music education programs. Bidders may choose artistically decorated trees or trees whose value is more material. Wine, beer, jewelry and other trinkets may be found under a tree. Also featured for the Festival are 11 evenings of special concerts and many late afternoon or weekend student recitals. Jazz, rock, popular song, arias and classical ensemble and solo concerts are featured. Full details are listed here. Additional event information has been posted to Facebook pages. It is a gravely serene piece marked by a simplicity of texture, especially in the piano writing: lines are doubled two octaves below, and there is little complex inter-part composition. All of this provides clarity, and an ample accessibility reflected in the popularity of the work immediately after its premiere. The music combines three instantly recognizable elements: a wisp of counterpoint, an austere hymn in four-part unison harmony, and a lightening strike of glittering virtuosity labeled in the score as “a feeling of new strength.” Along a timeline that eludes any mortal reckoning, the music undergoes a slow, organic transformation of heart-rending beauty that feels to be the very embodiment of life infused with divinity. As if sparked into primordial life by bolts of new strength, the tender green shoots of counterpoint grow into a rich lyrical vine embracing the cold stone of hymnody, ultimately blossoming into the most precious song you may ever hear. On Tuesday evening, November 17, the Prometheus Trio (Pianist Stefanie Jacob, violinist Margot Schwartz and cellist Scott Tisdel ) will be joined by oboist Margaret Butler in a program of rarely performed works. A romantic scenario by little known composer August Klughardt – Schilflieder (Songs of the Reeds) (1872) features five poems by Nikolaus Lenau of a man grieving for a lost love. The oboe may be the closest instrument to the human voice, so its role in this wordless melodrama seems appropriate. The work closes with a “conversation” between oboe and viola as the separated lovers reconnect across the grave. Butler also joins the Trio for Boguslav Martinu’s Quartet for oboe, violin, violoncello and piano (1947). Prometheus has introduced a number of Martinu’s works. 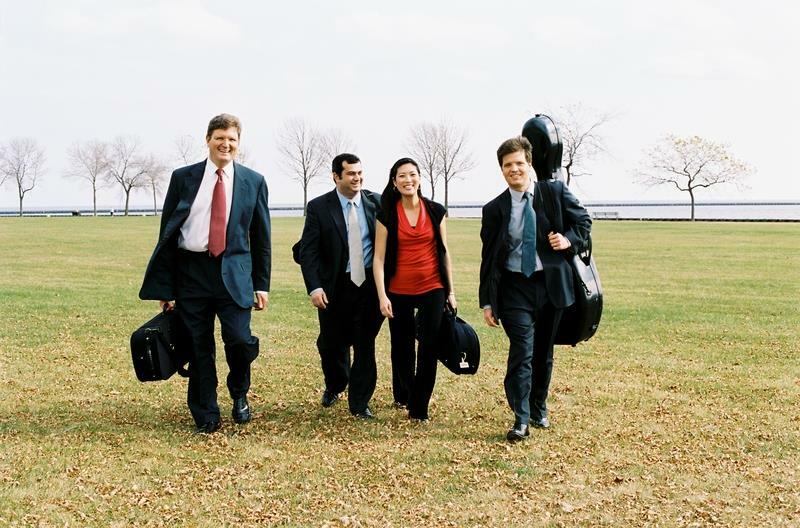 I find them impressive for the creative ensemble development and substantive melodies – particularly for cello. The Prometheus Trio will also perform a Baroque era Trio Sonata in B minor by Jean-Baptiste Loeillet and selected tangos by Astor Piazzolla. 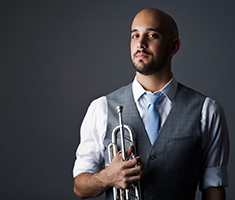 Thursday evening, November 19 offers a concert featuring David Cohen, Associate Principal Trumpet with the Milwaukee Symphony Orchestra. Pianist Jeannie Yu will accompany Cohen for some works including two 18th century “concertos” by Joseph Haydn and Heinrich Stölzel. A piano reduction substitutes for the orchestra, but the trumpet flourishes remain bright and challenging. Cohen will introduce several contemporary works by George Antheil, Joseph Turrin and Théo Charlier. Meaghan Heinrich will narrate a recent work by Jay Rizzetto, Five Poems of Emily Dickinson. On Saturday evening, November 21, Rene Izquierdo, professor of classical guitar at UWM, will perform classical works from the standard repertoire by Scarlatti, Bach, Debussy and others for the first half of his concert. 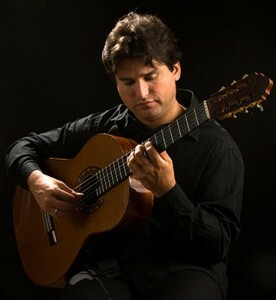 He will close with a selection of Latin American works representing primarily 20th century classical guitar with a Latin flavor including Gonzalo Roig, Jorge Ackerman, Eliseo Grenet, Ernesto Lecuona and others. Milwaukeeans who do not follow classical guitar concerts closely may not be aware of Izquierdo’s interpretative sensitivity and considerable virtuosity. Take it from me, he is well worth hearing. All evening concerts begin at 7:30 p.m., at Wisconsin Conservatory of Music, 1584 N. Prospect Ave. Access to the trees display alone is free, but a donation of $10 for adults, $5 for children is suggested. Concert ticket prices are $35 premium, $25 general and $15 student, which include opportunities to view and bid on the trees. For tickets call 414-276-5760 or click here to purchase online. Additional parking available at Milwaukee Eye Care, 1684 N. Prospect Ave. (at E. Brady St.) after 5:00pm weekdays and all day Saturdays.